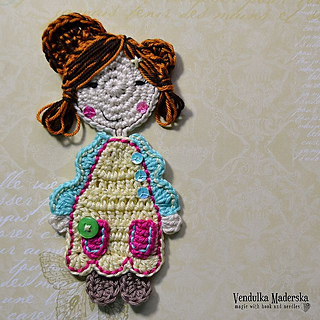 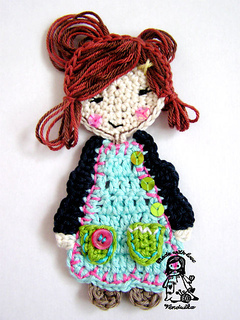 Swwt girl applique pattern is revised and ready for you :-) I made some changes, added many picture, wrote the instruction clearer. 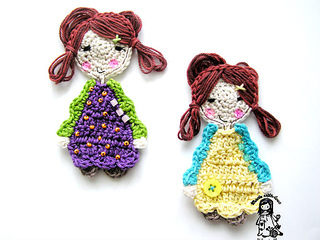 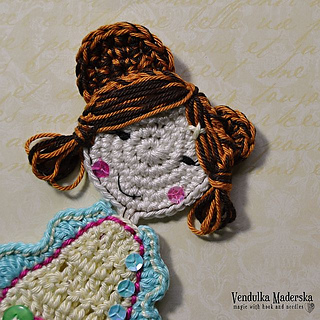 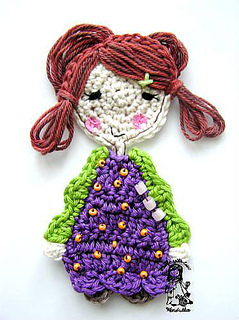 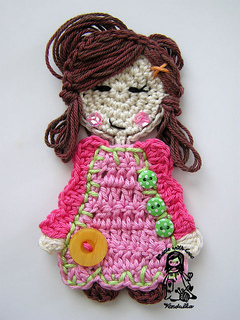 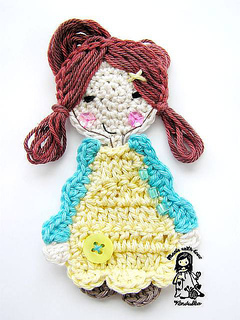 Material: take a hook 3 mm and some rest of 100% cotton, 5 ply weight yarn, you will also need needle with blunt tip, common needle and sewing threads, tiny button and sequins. 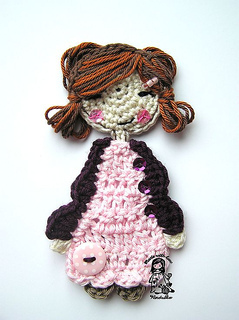 Basic skills of crocheting are needed.